C11C376026 Epson Lq-680 Dot Matrix Printer - Refurbished with 1 months Return To Base Warranty & Working Consumables. 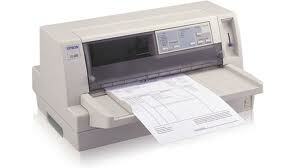 The Epson Lq680 Dot Matrix Printer is as good as buying new as all worn parts are replaced. This saves you up to 50% off the price of a brand new printer. We are confident that you will be 100% satisfied with your Epson Lq-680 Dot Matrix Printer and are here to help with any support questions you may have. 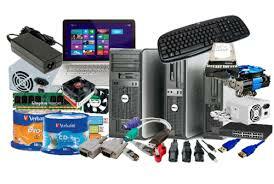 The Manufacturers part number/product code for this item is: P220B. Enjoy high quality countertop printing with the 24-pin, 360 cps printer that's ideal for everywhere from retail stores to doctors' surgeries. It's built to last and delivers crisp, clear results at very low cost. You can insert cut sheets from the front in A4 landscape format and the Epson LQ-680 includes automatic paper thickness adjustment for handling an even wider range of papers. The straight, flat paper path gives you maximum reliability when you print on multi-part paper up to 6-part forms, but you can choose from front, rear and top feeds too. Print up to 413 cps up to 106 columns wide, and take up less space with A4 landscape cut sheet paper feeding. If you use lots of different paper types the Epson LQ-680 gives you even more options – it even handles paper of varying thickness like overlapping parts and forms with labels.